I’ve seldom considered while attending a conference the portion that exists beyond the obvious. Most of the conferences I have attended – ranging from technology symposiums to Toastmasters reunions and car shows – are painstakingly orchestrated. Every opportunity for networking and enjoying oneself is boastfully announced. But at NAHJ’s Excellence in Journalism 2015, the brightest opportunity was hidden in the dimmest hallways of the Marriott World Center. In a recent interview, NAHJ President Mekhalo Medina said that his association does not exist to throw BBQs and parties, but instead to push the envelope for Latino journalists and increase their involvement in the media. Though his message is sound, it’s incomprehensive and highly formal. It does not address the natural byproduct of individuals that chase after such a lofty goal. A unique camaraderie that, on a sticky evening in August, expressed itself in the form of loud noises, throat-scratching drinks and lots of smiles. The professional networking that imbued the exposition floor took on a new and much simpler, organic character. The seasoned journalists, company founders and media junkies I met amongst folding tables replete with company paraphernalia were replaced by those wanting a good time. The venue demonstrated a quality about these men and women that workshops and panels can’t exhibit. Every sip taken from a shot glass and each raucous greeting solidified why these men and women are journalists and members of the media. That is, to lead a full life as practitioners of a craft that is ultimately about documenting the happenings of human life as it somehow sleeps and awakens, day after night and night after day.The unison laughs and coordinated hollers that permeated the crowd served as a testament to the joy for living that journalism lends these people. Now, I too feel that vigor. The event was a surprise, a shock, a delight and a spark all at once. But above all, it was a demonstration that a passion for journalism bores on ardently in the heart of its most zealous aficionados. Despite her best efforts, former journalist Maria Padilla struggled to monetize OrlandoLatino.com, a news website about the Puerto Rican community in Orlando that shutdown in August 2015 after approximately 6 years. Padilla’s struggle to cope with the demands of a changing media landscape is not unique. Journalists across Florida have dealt with its impacts in various ways. Frank Torres, an Army military veteran who became involved in veterans’ affairs and political analysis after being discharged, runs a website called The Orlando Political Observer that he claims attracts several thousand readers a day. Although he did not provide exact figures, Torres says his ad revenue greatly from election to non-election season as advertisers take note of his increased traffic. Torres attributes his success to being able to maintain multiple sources of revenue. 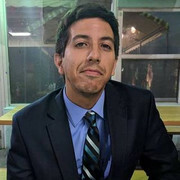 Besides his site and the advertising revenue it brings, Torres’ work is syndicated across multiple outlets, which he refused to name over web traffic concerns. Additionally, Torres has monetized his speaking gigs, varying his price based on travel expenses and the nature of the engagement. Padilla has a different take on the situation. Torres also feels that up-and-coming journalists are not being taught the right skills by “old-school” journalism school faculty that spend more time on writing skills and less so on the concepts of syndication and entrepreneurship. Victor Hernandez, director of media innovation for media outlet Banjo, agrees with Torres’ assessment. The University of Colorado Boulder’s College of Media, Communication and Information, for example, does not currently require student journalists to take entrepreneurship courses according to a representative from the school. Ashley Cisneros, a former Florida journalist whose job was cut during the 2008 recession, started her own digital marketing and advertising agency that helps businesses maximize their reach through social media and content. Though skills overlap, the purpose of an effort like Cisneros’ is still different from that of a site with a purely journalistic goal. Padilla was recently chosen as one of the Orlando Sentinel’s 100 most influential people in Central Florida. She is considering re-opening her blog despite her continued financial concerns. “I still get asked about it all the time … I’m convinced that there is a market,” Padilla said.